Lorna Archer Stanley was born in Panama to a Jamaican mother and a Costa Rican father. Her mother took her to Jamaica when she was a small girl. After graduating from Kingston Technical High School she worked as a junior secretary for the then Premier, National Hero Norman Manley. Lorna immigrated to the United States in early adulthood where she held many jobs including a Researcher with NBC TV and an Editor’s Assistant with Newsweek Magazine. Following this, she earned a journalism fellowship to the University of California, Berkley which led to her position as a Reporter with the Palm Beach Post in West Palm Beach, Florida. In 1988, Lorna founded Operation Restoration, a non-profit Christian organization in West Palm Beach and started and operated the Restoration ministry bi-annual treats in Seaview Gardens, Jamaica for ten years. After living in the States for more than 30 years, in 1994 she sold all she owned and returned to Jamaica permanently in answer to what she believes was a divine calling. There, she founded the Operation Restoration Centre in Rema, Trench Town in an attempt to alleviate violence, poverty and illiteracy which exist in that community. After operating an after-school programme for nearly three years, Lorna established the Operation Restoration Christian School (ORCS) for remedial education where she is still the Principal. The student population has varied between 120 to its current 54 pre-teens and young teenagers and over the years in excess of 1,200 students have passed through its doors. With the exception of just a handful of students, most were unable to read and write upon enrolment in the school but after attending three to four years, scores have been able to pass qualifying exams for admission to such prestigious schools as Jamaica College, Holy Cross and a number of technical schools. Lorna ingeniously staffed the school with pre-trained teachers from the community in an effort to further develop these individuals. Many, with the financial assistance of Operation Restoration, have attended Teachers’ College and today have become positive community role models. Over the years, she has also implemented numerous successful projects within the school as well as the wider community. In the past the school has offered skills training in cosmetology, leather craft among others and has enabled many former students to become successful entrepreneurs. Assistance to the wider community includes the establishment of a chicken farm, programmes for indigent seniors as well as teenage mothers. In addition to her nearly 20 tireless and sacrificial years of dedicated work with ORCS, Mrs. Stanley also serves as a Justice Peace for the parish of Kingston. 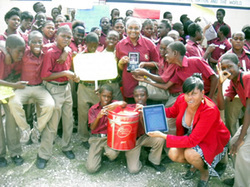 Locally, Lorna is recognised by educators, members of academia and the Jamaican Government. 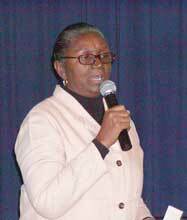 In 2004, she received a National Honour – the Badge of Honour for Meritorious Service for her work in Trench Town. 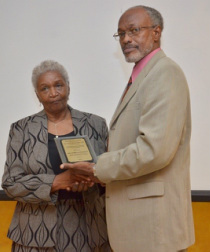 In 2013, she was been honoured by the University of the West Indies, School of Education for the work and impact of the school at their Symposium entitled “Changing the Landscape of Education within under resourced Urban Schools.” In a recent radio interview with The Honourable Reverend Ronald Thwaites, she was introduced as the “Queen of Trench Town”. In November 2010, Lorna was invited as a guest on the Oprah Winfrey Show in recognition of her hard work and dedication to the development of the inner city. Among the many “Oprah’s Favourite Things” she received was the newly re-designed 2012 Volkswagen Beetle. She continues today to be friend, teacher, counsellor, mentor and confidant to the youths and other citizens of Trench Town.